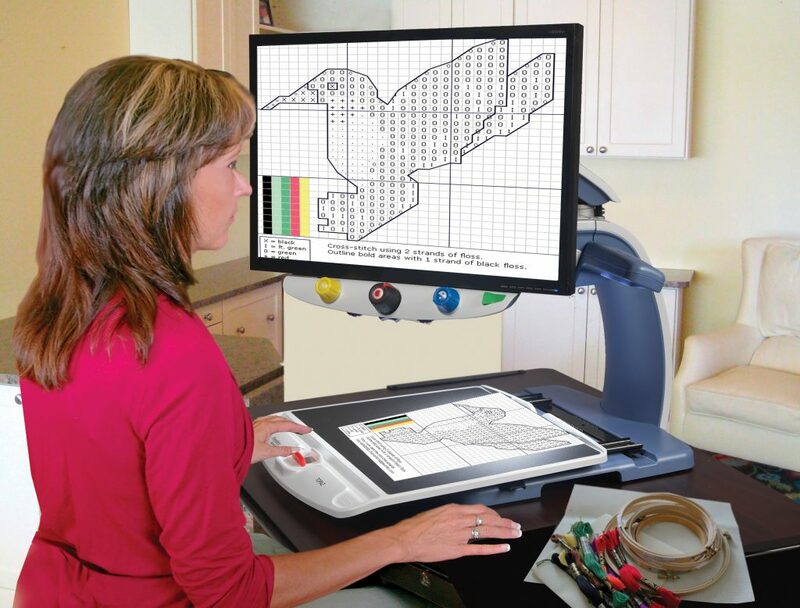 The TOPAZ HD video magnifier is the perfect choice for reading and performing daily tasks, with a wide magnification range, gliding reading table, lots of workspace under the camera, LED lighting, and unique features like Find and Freeze Frame. Simple to Use, Yet Packed with Features. 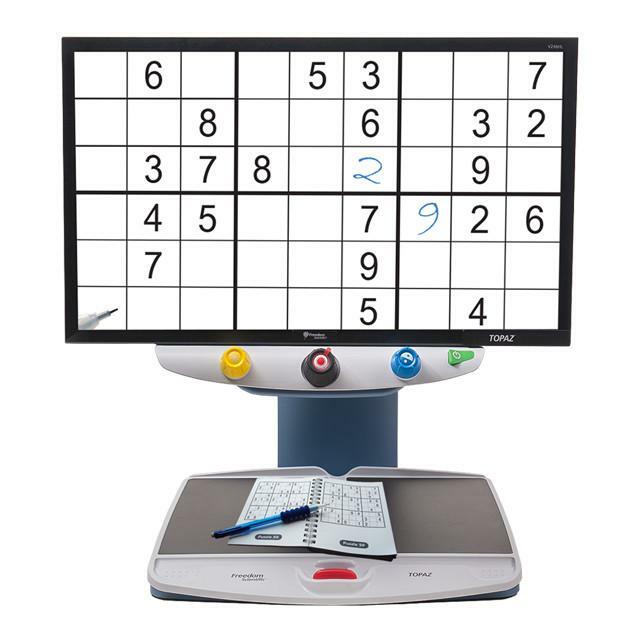 The TOPAZ HD desktop video magnifier blends practical performance with features and usability. The TOPAZ HD not only offers a high-definition camera with a wide magnification range, but also includes advanced features such as Reading Lines and Masks, Focus Lock, Freeze Frame, and the Find Feature, along with 33 color modes. The TOPAZ HD also includes the unique Enhanced Full Color Mode – perfect for viewing newspaper print, photos, and maps. “I love this device. The low levels of magnification are clearer than others I have seen on the market, not to mention that such low levels are not always provided. I extended my uses of it over time. Now, I never write anything without it, and I often read smaller print items than I would without it. The color contrast options are so helpful, and the brightly colored buttons help me not to have to see the pictures for what they do – I just remember what color does what.” Becca H.